It's Friday, time to join Susanne's Friday's Fave Five again. The idea of this meme is to look back upon the week that has passed and post about five things that have made your week special. 1. I'm so glad my Mom is recovering well after her operation. She needed surgery to take care of an incisional hernia that appeared a couple of weeks ago. She is doing great, and she is going to be home very soon. 2. My daughter's birthday. That was a week ago last Thursday, but we celebrated it with a little family dinner and some quality time together on Saturday. It's SO nice to have her home. 3. Weight loss. Trying to loose weight is an eternal battle for me. Some may remember I lost some weight last year, but I gained it all back during Winter. Finally I joined Weight Watchers at the end of May, and so far I have lost 4.4 kilos. After gaining a kilo during our long weekend in the Gaume region, I lost 1.3kg this week at the Weight Watcher's weigh in on Tuesday evening, and another half a kilo this morning. 4. Playing with my camera. I had my photography class yesterday evening, and I practiced my skills earlier this morning. I'm hoping better knowledge and practice will make me a better photographer. 5. Chili con carne, Weight Watcher's style. Chili con carne has always been a favorite of mine, but now I found this low calorie Weight Watcher's recipe. Now I can eat it more often! This is one of the tiny streets of Saignon, a little perched village 3 km southeast of Apt. 1. an extra long weekend away from home last weekend. We left last Friday and rented a little bungalow in a bungalow park till Monday morning. We stayed in the Gaume region, the southernmost part of Belgium, also known as the Belgian Provence. 2. The weather was wonderful, it was nice and warm and with gorgeous blue skies. (well, at least Friday and Saturday it was!) We could have breakfast outside and STAY outside until way after dark. 3. My camera worked overtime. 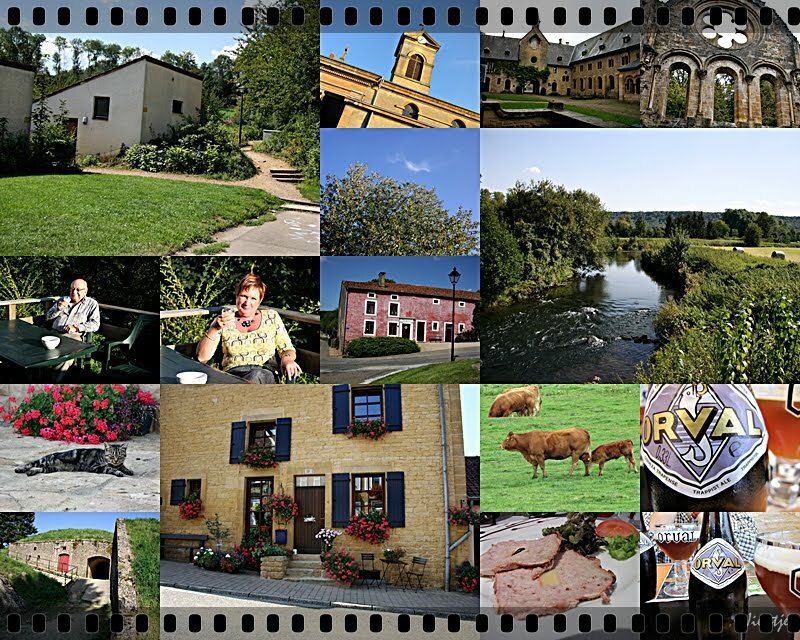 We visited Torgny, one of the most beautiful little villages of the Gaume region, Orval abbey, the citadel of Montmedy ,Virton, and saw the most beautiful scenery! Needless to say my camera worked overtime! We tried some dishes cooked with Orval beer later that evening, and had a matured Orval to go with it. Much to my surprise, I noticed that it was bottled on Oct 20th 2010, that's my birthday!!! My hubby asked the owners of the restaurant if we could buy some from them and bought a whole case! 5. It was back to school for me too this week. 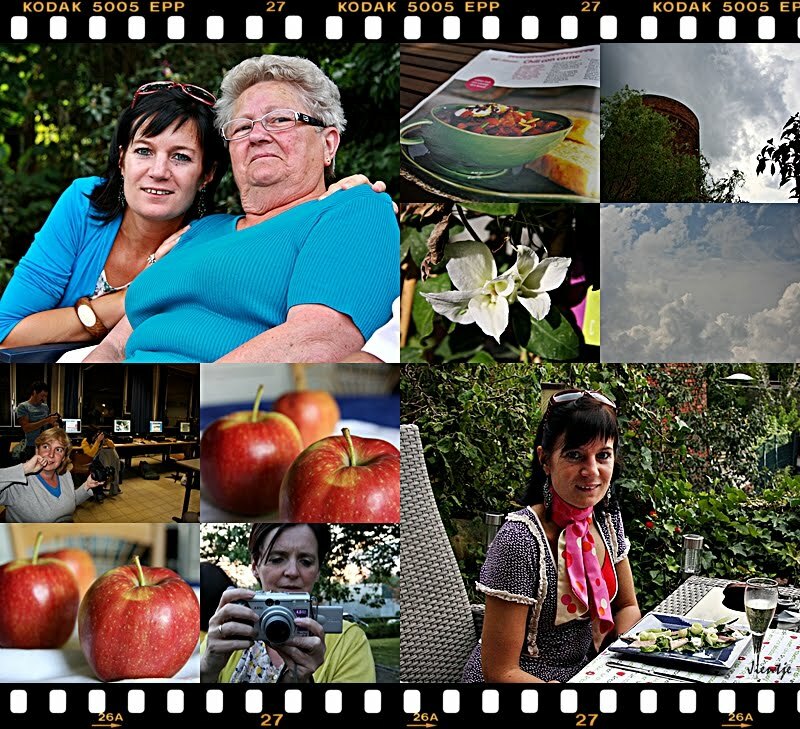 My cooking class started on Wednesday and yesterday evening I had my first digital photography lesson! I'm taking you to Crestet today, a very small medieval village not far from Vaison-La-Romaine. Click this link to read more about it. Just look at this breathtaking scenery! This is the valley of the Ouvèze. This is the Church of St Sauveur, originally from the 11th century, and rebuilt in 1844. Come back next week to see more photos of this beautiful village.